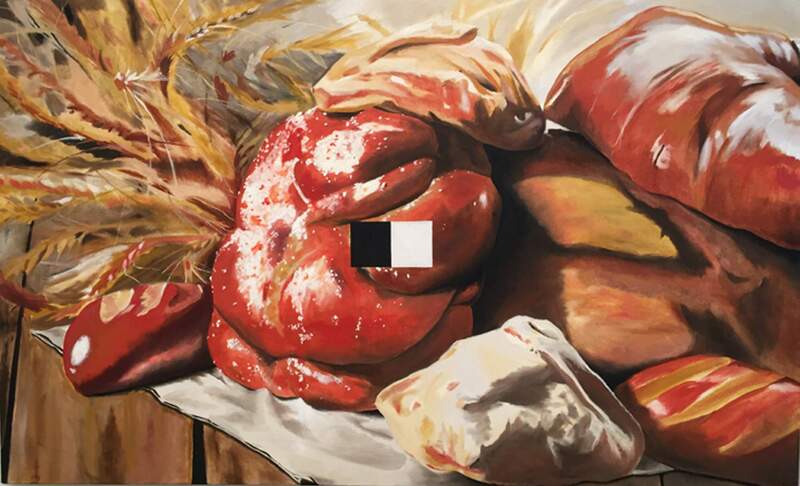 “Creature No Comfort,” an oil painting on canvas by George Bangs, is currently on display in the final exhibition of the year at Fort Lewis College. “Bits & Pieces” represents all the graduating seniors, 21 studio art majors and 20 communication design. 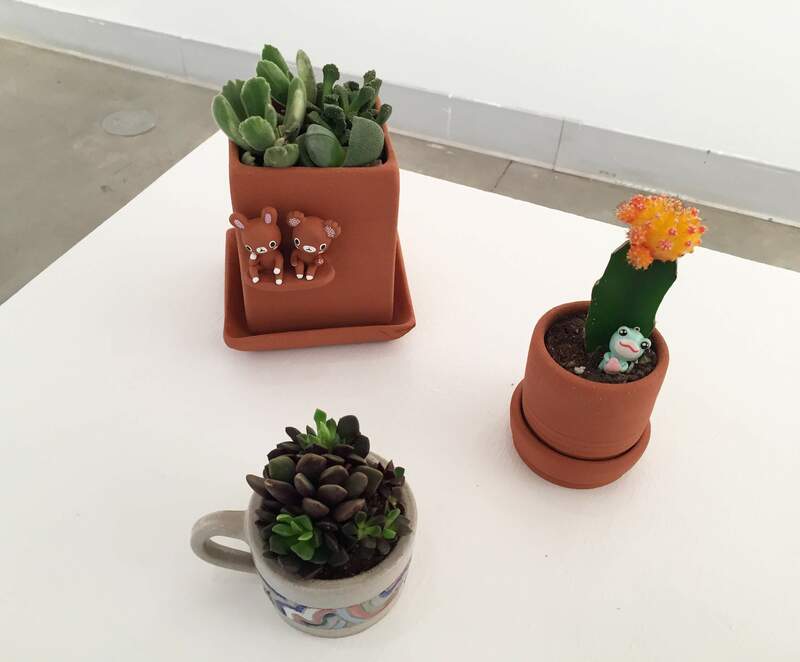 “Ceramic” by Lizzie Vickers is a collection of ceramic cacti on display at FLC. 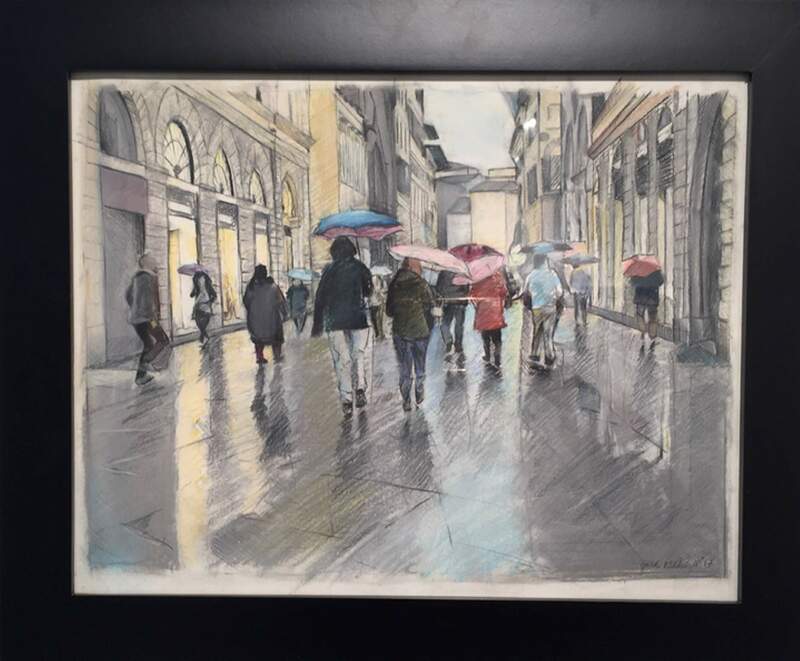 “Florence: A Rainy Day,” a pastel drawing by Jacob Goldshall, is currently on display as part of “Bits & Pieces: Graduating Senior Art & Design Majors Exhibition” at Fort Lewis College. In “Remember 1951,” Bangs does it again. Over a conventional floral still life painting of yellow peonies, he superimposed a flat, blue grid. The title may refer to the under image, which Bangs has yanked into 2018 by inserting a visual wake-up call. Like the plays of Bertolt Brecht, whose Theatre of Alienation subverted traditional dramatic conventions by using interruptions and blunt shifts, Bangs upends long-standing illusionistic expectations. Bangs’ unsettling paintings are two of 78 works on display in the final exhibition of the year at Fort Lewis College. “Bits & Pieces” represents all the graduating seniors, 21 studio art majors and 20 communication design. That 50-50 split is telling as the Department of Art and Design, as it is now named, has come a long way from its so-called fine art days. About half of art majors pursue studio art concentrations. The other half major in communication design with a heavy emphasis on commercial work. The shift is going on all over the country as old school fine art turns to what’s now generally referred to as visual communication. Yes, it’s a sea change in art education, and you can see it in action this month at the college. I’ve been covering FLC art exhibits for 20 years, and it wasn’t that long ago when senior art majors wanted to be the next Stanton Englehart. 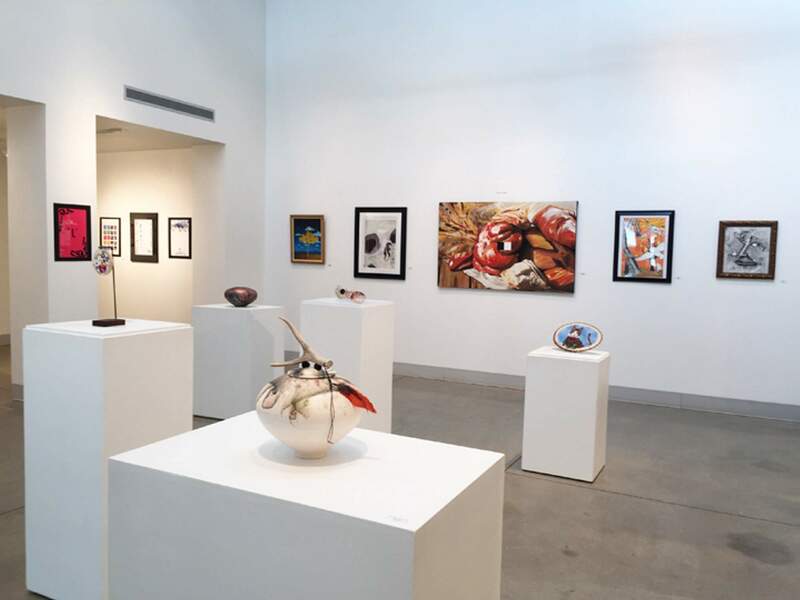 Southwest landscapes filled the senior shows, along with super-realistic watercolors influenced by the masterful Laurel Vogl, or pristine ceramics that echoed David Hunt’s aesthetics. Retired professor Gerry Wells’ ironic explorations into digital imagery pointed toward a more unsettled future. And that’s where we are now. The current show will be up through April 27. It’s worth a trip. The 2018 show invites you think – to question and to ponder. Many works succeed, some don’t. What’s key is a heightened awareness of contemporary issues, art historical tropes and conventions plus an eagerness to manipulate and subvert. Just about every commercial design project, often presented in pairs, for a variety of clients: Squaw Valley Olympics, Phoenix Comic Con and Zodiac Wine, to name only three. Communication design is the youngest addition to the department and is especially strong. Lizzie Vickers’ universe where she reframes both still life and landscape conventions. She fills a ceramic trio of three vessels with ceramic cacti and her own pop-culture creatures. Then, she inserts her subjects into a surrealistic landscape and playfully titles it “Sunset Still Life.” Pages from her sketchbook are in the Exit Gallery. Jacob Goldshall’s quiet pastel drawing, “Florence: A Raining Day,” may be the outlier in an exhibit brimming with conceptual tricks. He’s captured a moment in time, probably drawn from a photograph, deftly sketched and beautifully seen. Judith Reynolds is an arts journalist and member of the American Theater Critics Association. WHAT: “Bits & Pieces,” Graduating Senior Art & Design Majors Exhibition. WHEN: 10 a.m. to 4 p.m. Monday through Friday, through April 27. WHERE: Fort Lewis College Art Gallery, Jones Hall. MORE INFORMATION: Admission is free. For more information, call 247-7167 or visit www.fortlewis.edu/art-design/artgallery.